A two-part article on ‘The Sankey Diagram in Energy and Material Flow Management’ was published in the Journal of Industrial Ecology (JIE). 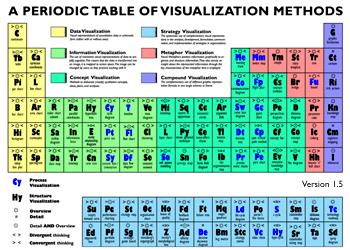 The author, Mario Schmidt is a professor at Pforzheim University in Germany. The first part focuses on the history of Sankey diagrams, while the second centers on ‘Methodology and Current Applications’. Abstracts and links to the full articles are available at the publisher’s website. I am not a subscriber, but maybe someone with access to these publications wishes to post a summary comment. Environment Canada in 2001 published a Pollution Prevention Planning Handbook, a 153 page guidance manual on processes and techniques for pollution prevention. Update: The original handbook has been removed. Sucessor pages have been put online, and can be found here. 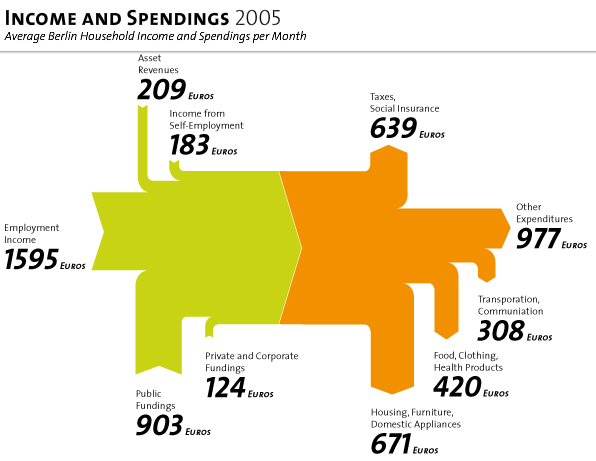 materials accounting and materials mass balances can be presented in a tabular or diagrammatic format. 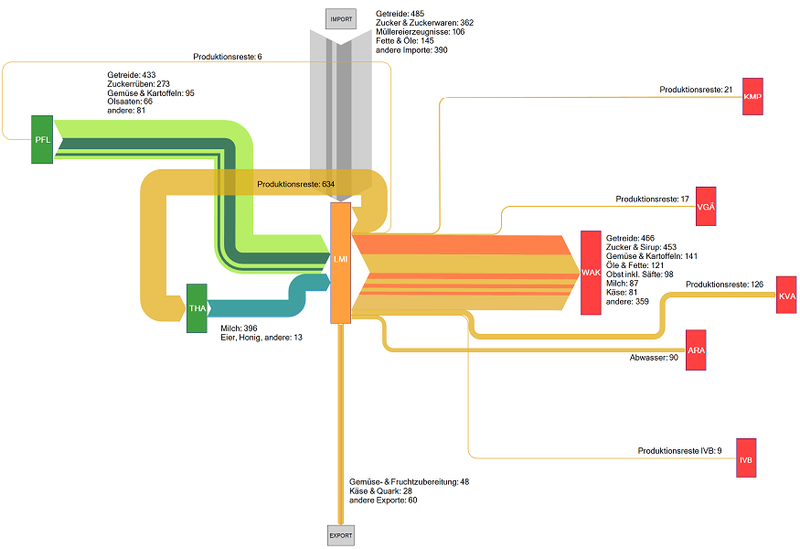 A Sankey diagram provides one useful method for representing a picture of material flows and balances. 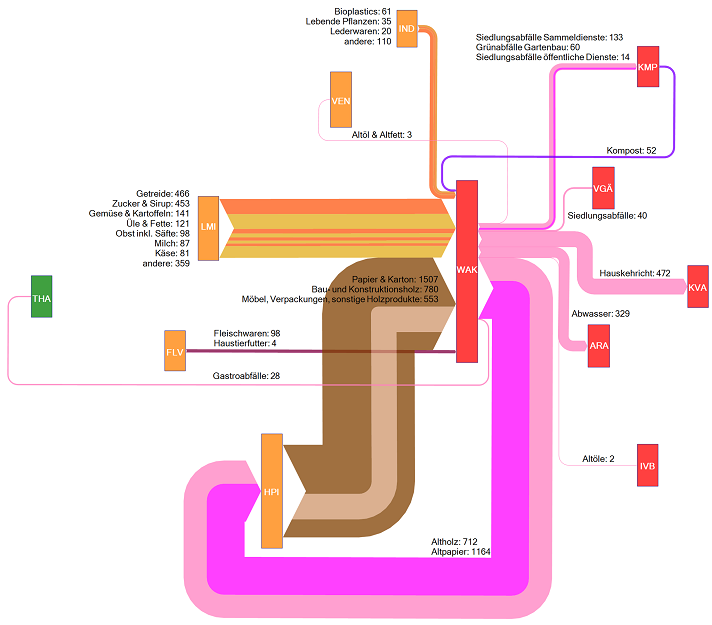 and a sample Sankey diagram is shown. 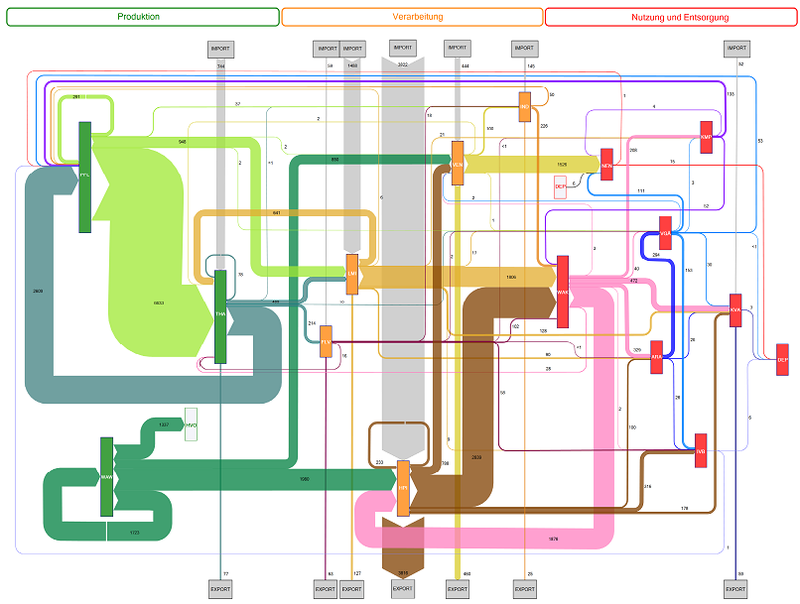 Although not all quantities of the individual flows are shown, and there is no reference to the unit used, I think this is a fine example of using Sankey diagrams. The mass imbalance at the first process “Presse” (at the very left) is clearly visible. 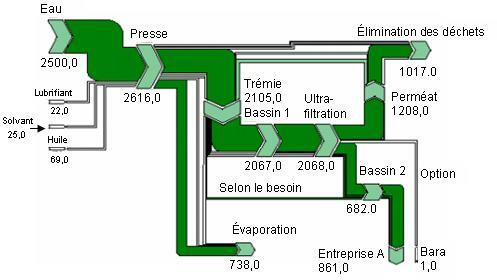 From the neighboring downstream processes you can see that at least 2105 units (to “Trémie”) and 738 units (to “Évaporation”) leave the process, that has inputs of only 2616 units. 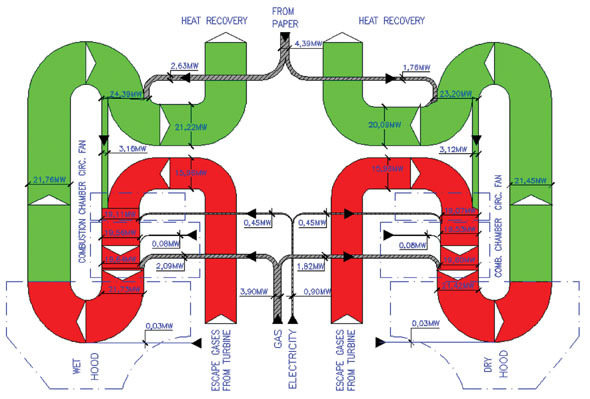 The diagram was made with S.Draw.